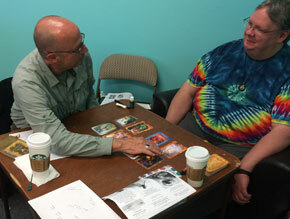 This workshop delves into the phases of transformation by looking at individual cards. 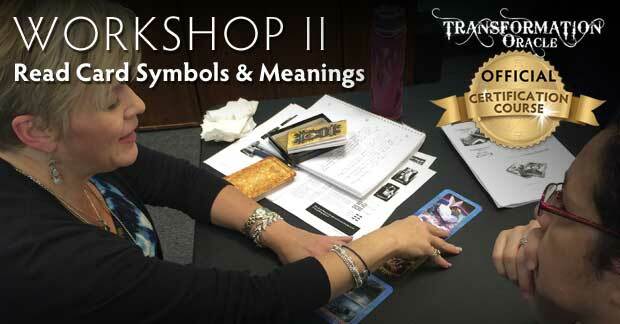 We explore symbols and how to read their meanings. We’ll also learn a channeled spread and explore your own journey of transformation. This class is designed for readers who want to learn about sacred geometry, phases of transformation, duality, and generally how to interpret signs & symbols in oracle cards. Required for all CERTIFIED READER candidates. Open to all levels. Beginners welcome! "The Transformation Oracle Deck is truly captivating and grabs at the very essence of our life experiences. Allowing yourself to go deeper within the deck will truly help you take your readings to the next level! 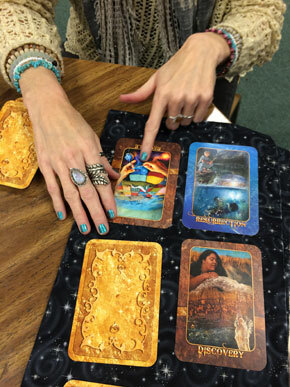 Sonya takes you on an intimate journey within each card and shares some of her priceless channeled experiences. She teaches you invaluable skills to see each card in it's true form and gives you personal insight to help you on your spiritual path. Be ready to be transformed in your own life as well! Don't wait another day to expand your vision, be enlightened, and have a Master Healer & Artist at your fingertips." "The Transformation Oracle has helped me tremendously to connect to myself, to trust my inner wisdom and to be a conscious creator of my life." "Sonya is extremely gifted at drawing out the best in people and helping them come to awareness of their potential. I feel that I have benefited from every stage of the process—from defining my goals and acknowledging the tools I have, to meditating deeply into acceptance." Download the FLYER (includes course schedule).